Ran Krauss, CEO and co-founder of the company, was the first Israeli to get a commercial pilot’s license for drones, the first to receive a commercial operating license for a drone company (which meant he actually wrote the manual for the Civil Aviation Authority), and counts at least a thousand hours of personal experience flying drones. He has operated two previous companies in the space. It's interesting to see a company propose that a single drone could be used for inspection and surveying during the day, then switched to security at night, all at the tap of a button. Swiss Army Knife of drones gets $28.5m in funding. The Airobotics platform is made up of three parts: An autonomous drone, an automatically operated air base, and an integrated software, which ultimately executes missions with the simple click of a button. Airobotics’ solution is best positioned to add value to complex industries such as Mining, Oil & Gas, Seaports, and other industrial facilities. Tel Aviv-based UAV Airobotics has debuted a completely automated patrol drone system of the same name that is capable of operating with virtually no human intervention. Capable of flying with a 1 kilogram load for half an hour at a time, the UAV can patrol an area, then land itself on its base station autonomously. From there, a robotic arm comes in to change its battery and relieve the drone of its payload — sort of like a robotic pit crew. From a safety and security standpoint, if a fire crew is responding to an alert, they can improve their decision making by sending the faster drone in first to assess the situation before putting humans in harm’s way. Drones may be best known as increasingly popular toys, but they can also be pretty helpful, it turns out. The biggest advantage of the almost-entirely autonomous vehicles is dealing with repetitive tasks. Monotonous jobs can be done with digital accuracy and without the hefty costs of training and maintaining a team of pilots. An autonomous drone could present a faster way for an oil and gas company to monitor a long pipeline or a safer way for a mining company to inspect a glitch at the top of a towering processing facility which could be otherwise dangerous for an employee to access. 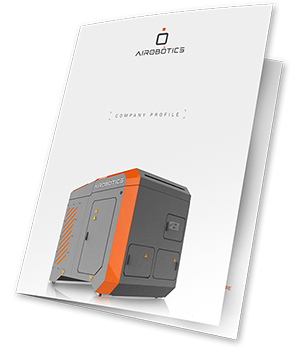 Drone platform in a (big) box company Airobotics eyes Australian expansion; Targets mining, oil, gas and industrial companies. Israel Chemical’s manager of the phosphate division, Yakov Kahlon, says the drones have already allowed the company to cut down the measuring time of stockpiles from six days to just one.